64) Every now and then I’m lucky enough to be able to arrange a shot that provides indisputable proof as to my location. As you can clearly see in this West Seattle shot, there is no arguing that I am at the intersection of SW Admiral Way and Belvidere Ave SW. In fact, I’m willing to bet this is the only place in the entire country where two such-named streets intersect. 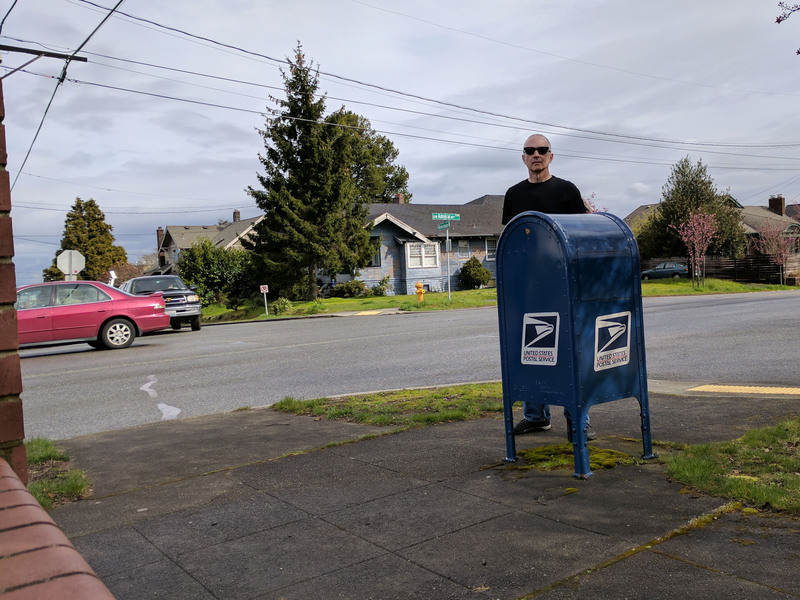 3) The journey to the Four Corners of Seattle now goes to the most southwestern box in the city, at a post office in West Seattle off of SW Trenton at 26th Ave SW. 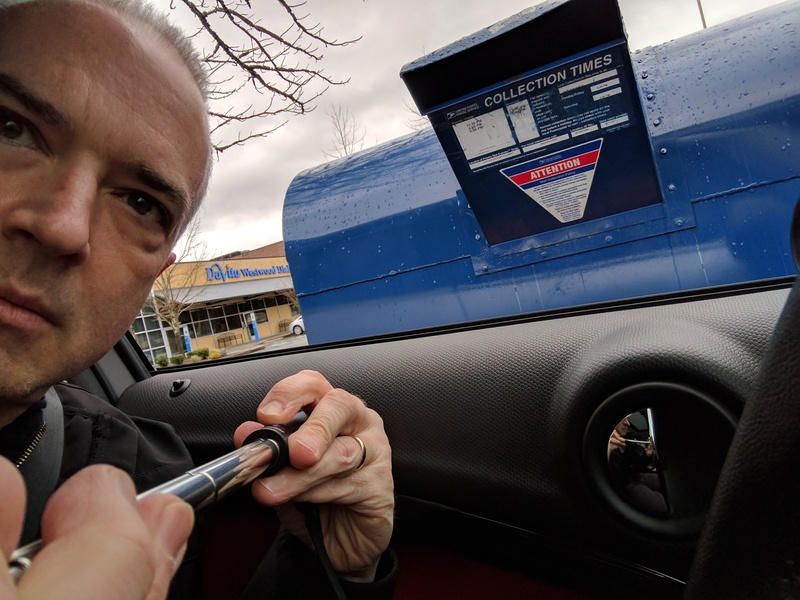 It was raining, so I thought I’d stay dry by snapping this lovely snorkel box from the dry confines of the car.